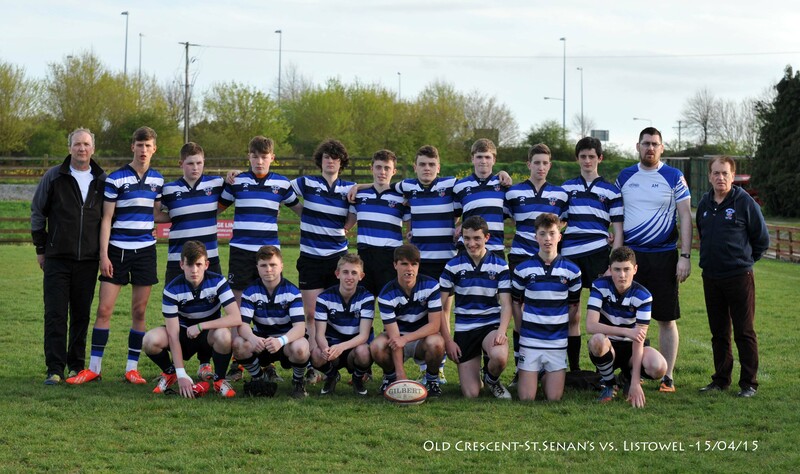 A combined Old Crescent RFC – St Senan’s RFC team took on Listowel RFC in the North Munster U-16 Conference Final in Rosbrien on Wednesday 15 April. Listowel started the better with a penalty and two tries inside the first twenty minutes to put them 13 points clear. The home side fought back with a Mark McGarry penalty and a try by Mark Hickey either side of half time to bring the score to 8 – 13. Both teams gave it everything in a very intense second half but a brilliant intercept try by substitute Timothy Duggan and a well worked try by Adam Shire gave Old Crescent-St Senan’s the advantage going into the final minutes. 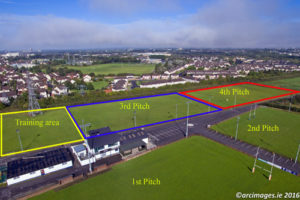 Four minutes from time, Duggan scored again to give Old Crescent RFC-St Senan’s RFC the victory by 23 points to 13 in a very entertaining match. Old Crescent RFC/St Senan’s RFC team photo (above) Back row, l-r, Joe McNamara (Coach), Adam Shire, James Colgan, Oscar Dillon, Jeff Reynolds, Dylan Gleeson, Mark Hickey, Eoghan Herdman, Ogie Barrett, Evan Quigley, Anthony Martin (Coach). 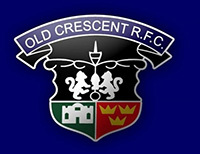 Dr Michael O’Flynn, President, Old Crescent RFC. Front row, l-r, Jack Canty, Michael Quinn, Ben Judd, Liam Harrington, Jason McAuley, Mark McGarry, Mark O’Brien.